iPhone과 iPod touch에서 만나는 네이버 블로그! 네이버 블로그 모바일 애플리케이션으로 언제 어디서나 포스트를 쓰고, 이웃의 소식을 확인할 수 있습니다. 블로그 홈의 추천글로 관심 있는 블로그를 새로 만나고, 이웃을 맺을 수도 있습니다. 네이버 블로그 모바일 애플리케이션에서는 아래의 기능을 제공합니다. 1) 내 블로그 소식을 확인하고, 덧글, 안부글, 서로이웃맺기 소식을 푸시알림으로 받을 수 있습니다. 2) 사진, 동영상, 지도를 첨부하여 포스트를 올릴 수 있습니다. 오프라인 상태에서도 임시 저장이 가능합니다. 3) 이웃 블로그 바로가기, 이웃새글 읽기, 안부게시판 기능 등으로 블로그 이웃과 소통할 수 있습니다. 4) 마음에 맞는 새로운 블로그를 발견하면 이웃으로 추가할 수 있으며, 다른 사람의 이웃 신청도 수락할 수 있습니다. 5) 개별 블로그에서 원하는 포스트를 검색할 수 있습니다. 항상 네이버 서비스를 이용해 주시는 여러분께 감사 드리며, 더 좋은 서비스로 찾아 뵙도록 꾸준히 노력하겠습니다. 앱 사용 중에 궁금하신 점 또는 문제가 발생한 경우, 블로그 고객센터 (http://naver.me/5l0zAD2L) 로 접속하여 궁금하신 점을 해결해 보세요. 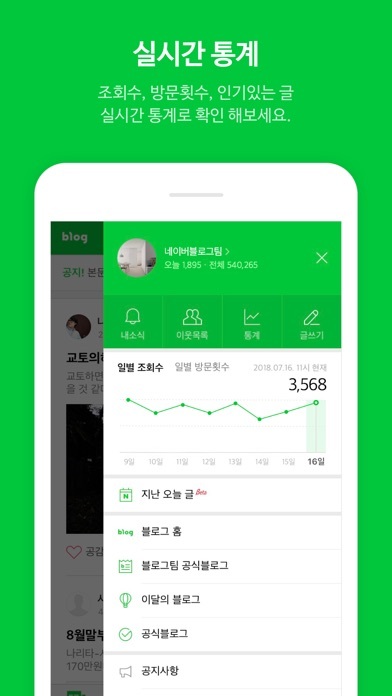 개발자 연락처 : 1588-3820 경기도 성남시 분당구 정자동 178-1 그린팩토리 16층 Stay connected anywhere, anytime with Naver Blog. 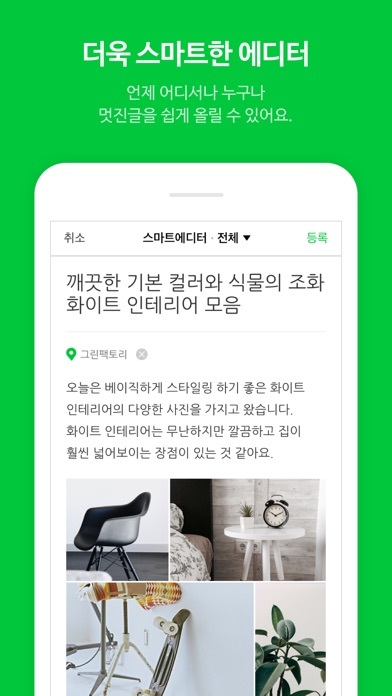 With the official Naver Blog app for iPhone and iPod touch, you can check out real-time status of your blog and the latest updates from your neighbors. 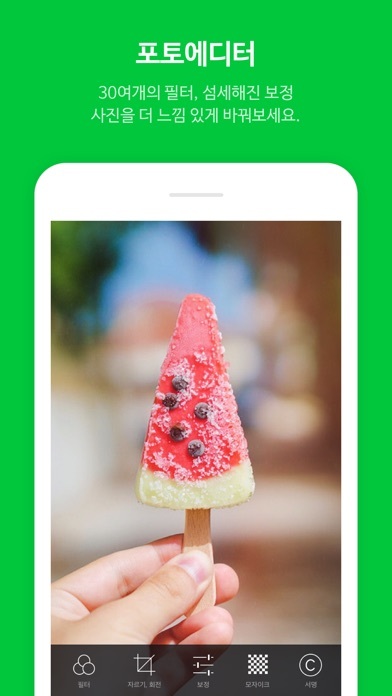 Also, you can easily publish posts with photos or location information. 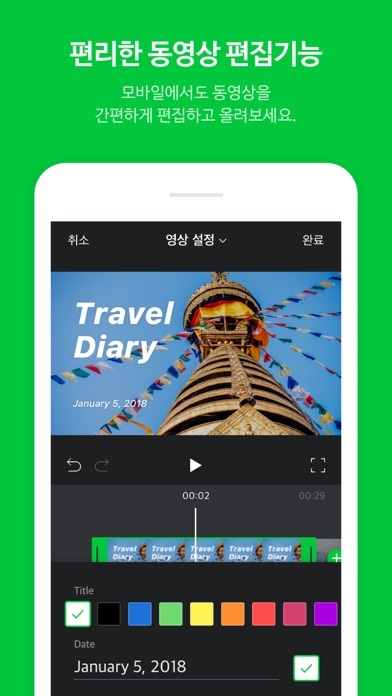 Naver Blog is just the right way to share your stories with the world! Highlighted Features: 1. Check out real-time status updates of your blog and any updated post from your neighbors 2. View enlarged photos on posts. 3. Enjoy lively communication with your neighbors. You can directly access your neighbors, read their latest updates, and leave short messages on the board. 4. Upload posts with photos or maps. You can save them even when you are offline! 5. Add a new blogger as your neighbor and accept anybody who wants to become one of your neighbors. 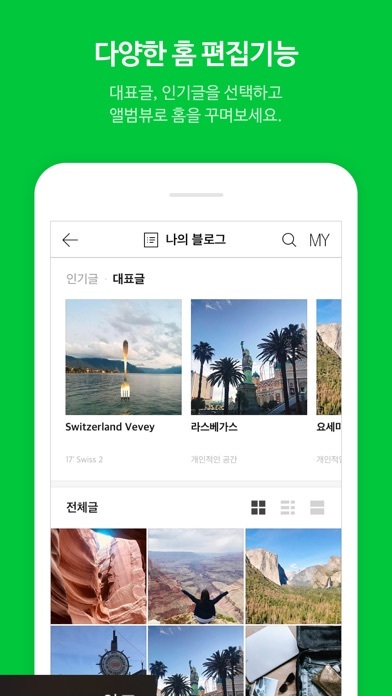 Thank you for using Naver apps. We will continue to improve our products and to provide up-to-date services. In case a problem or an error occurs while using the app, please feel free to leave your inquiry on NAVER Customer Center (WEB: m.help.naver.com/mail.nhn, MAIL: navercc@naver.com) Please note that an accurate assessment and answer to your problem may not be possible if you do not provide us with a direct inquiry to the above Customer Center. Please understand that leaving us a feedback comment on the review board, while greatly appreciated, does not suffice as a direct inquiry. Video doesn’t work on the app, it says network is unstable-I tried all different possibilities. It’s not my network problem. Please solve this. I held off downloading this app because of all the negative reviews. It works well on my iPad Pro - I just wish we could use more shortcuts when drafting posts! No problems with it so far.